Laura was born and raised in Delaware. She has previously worked in the yearling division, doing sale prep for 2 yearling sale seasons (2005 and 2006), racehorse division intermittently in 2005 and 2006 and remained as a racehorse groom until 2010 when she became the executive assistant to general manager, Garrett Bell. 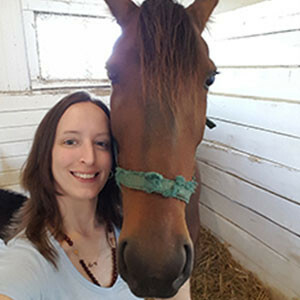 In May 2013, she graduated from Cecil College with an AAS in Business Commerce & Technology and AAS in Equine Studies. In May 2015, she completed her online undergraduate courses through University of Phoenix and earned her Bachelor of Science in Management degree. Currently, Laura is working on adding a Graduate certificate in accounting.